Spring is the season of blossoming, and the world appears not less than any fairyland. Renovation of tree leaves and then the season welcomes new fresh flowers on them. Its the season of wandering for butterflies and hummingbirds. In below list, we will discuss some stunning flowers which are rare insight now and maybe won’t be visible while next spring appears. These flowers’ current status of being entitled as “rare” is caused not because of any natural calamity but human miscoordination with nature. For example, Humans created dams, the dams prevented a specific river from flowing freely, which prevented a specific frog or fish from breeding, which resulted in a specific kind of bird not getting food, which resulted in a particular kind of flower not being pollinated, which can eventually lead to the extinction of that plant. In that one scenario of building a dam humans have killed off three species, and history is occupied by hundreds of similar occurrences. The flower is mainly native to the tropical rainforests of the Philippines. 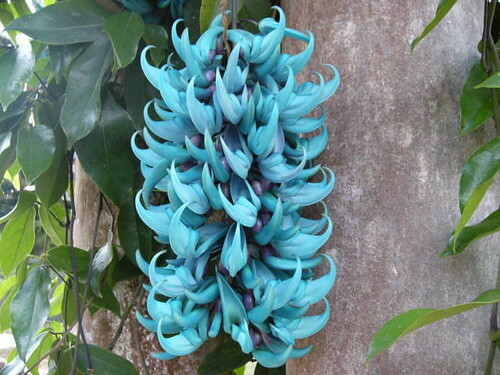 The beautiful flowers are claw shaped and usually appears in hanging position. The length can vary from 2.5 meters to 3 meters. The flower’s colour is very pleasing to eyes and different like blue-green or mint green. Since this flower is tough to cultivate, it is on the verge of extinction due to sheer negligence of man’s harmony with nature. 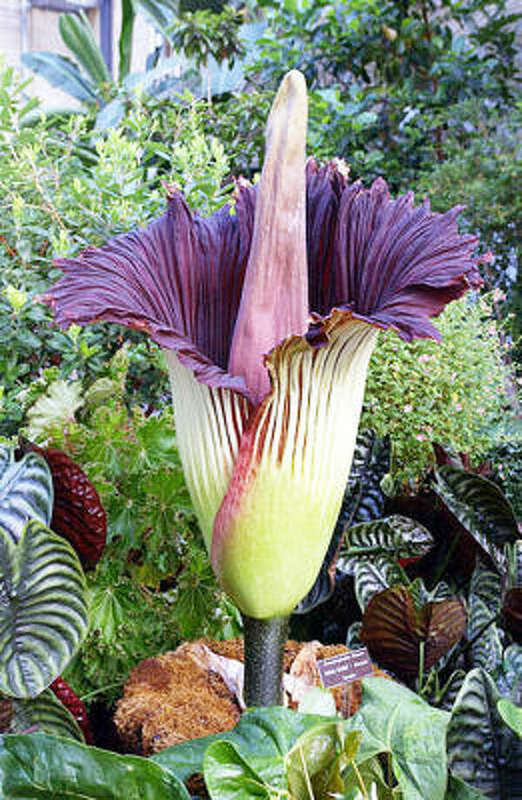 This incredible massive in size flower is one rarest type in giant flowers family of the world, found mainly in tropical rainforest of Indonesia. The flower size can extend up to a meter long . The Rafflesia’s survival is entirely dependent on a particular vine called the Tetrastigma vine. As the Rafflesia is fragile, stemless, leafless, rootless parasite, it requires the vine for nourishment and support. It releases a pungent rotten flesh smell when in bloom to attract flies and carrion beetles to aid in pollination. The flower will only last for a week before dying. This gorgeous flower is increasingly becoming rare since the year 1884. Though it is taken as the completely extinct flower, some of them might have managed to bloom. This stunning plant is endemic to the Canary Islands and is believed to have originally been pollinated by sunbirds, which have long since become extinct in the Canary Islands. In 2008, hopes of finding new pollinators crashed as no new flowers were produced even after long experiments. The flower type is in invisibility since over 100 years. The flower is native to Mexico. The species survives today as a single non fertile clone, which was produced in 1902 by vegetative propagation. 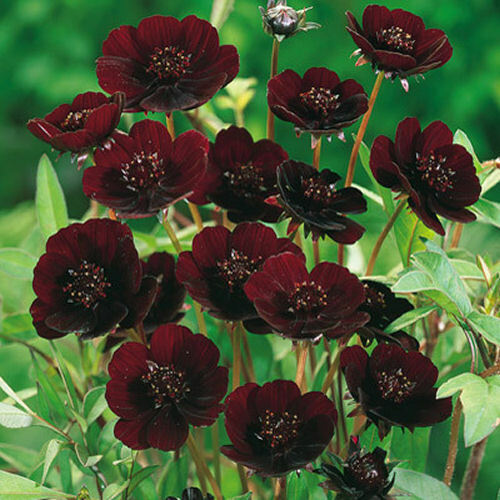 The flowers which are generated by the plant are a rich dark red to brown color and grow to about 3-4 cm in diameter. The plant can also be used as the ornament because of its soothing and lovely fragrance. This wild orchid is one hard to find type in Europe. Since it is hard to cultivate and Britain’s only example of this plant, it is under protection since 1917. 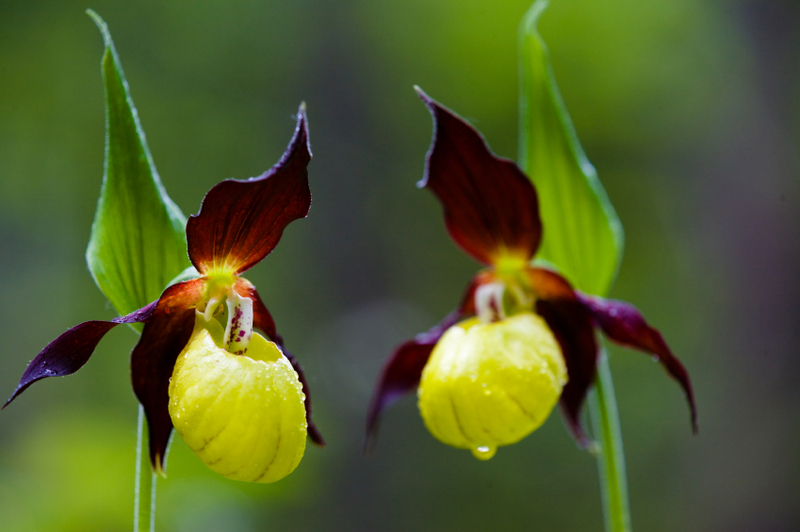 There are many types of Lady slipper orchids, many of which are rare. This particular kind has dark purple to almost red brown tendrils with a bright yellow “slipper or moccasin.